Walker Farm has been in our family line since 1770. 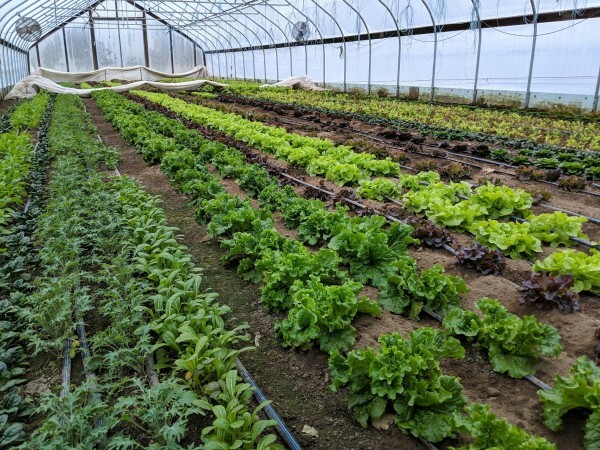 We currently operate a farmstand/garden center that consists of 11 flower and plant greenhouses, 14 certified organic vegetable greenhouses and 30 certified organic acres of vegetable and small fruit production. Our Elysian Hills Tree farm is 138 acres of woodland with 25 acres in organic Christmas trees. We have an amazing summer crew of 35 to 40 local people who help make our farmstand and garden center a destination point for folks all over New England and New York. Our commitment to our community to produce safe, healthy food and plants drives us to seek excellence and CSA customer satisfaction. Our dedication to our land ensures that we will constantly strive to improve our soil and environment. Thanks to your continued support, we move from generation to generation with the same goals and sincere desire to keep our farm the best that it can be. Not ready to commit to being a full-time member yet or are all shares sold out? Subscribe to the Farm Stand for Walker Farm and get the chance to purchase a share each week that there is a harvest bounty.